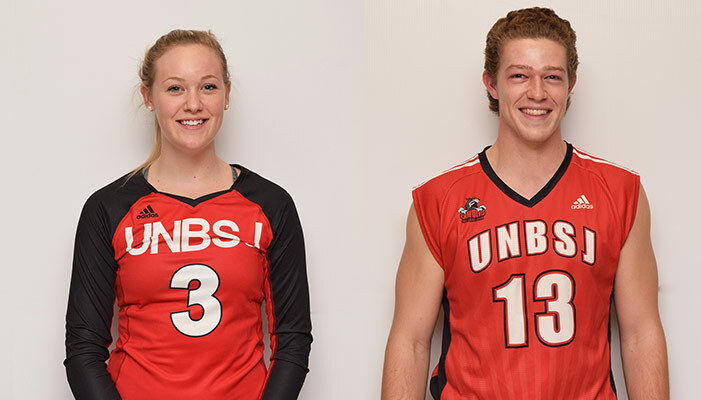 Fifteen members of the UNB Saint John varsity athletics program received Canadian Collegiate Athletic Association (CCAA) Academic National Scholar Awards for the 2017-18 season. "We are excited to have CCAA National Scholar Award recipients," said David Munro, athletics director at UNB Saint John. "Playing on a varsity team and attaining a 3.7 grade point average is not easy. It is a tremendous accomplishment. These students have worked hard to reach this level of achievement and we are very proud of them." To be recognized, a student athlete must achieve honours standing at their institution in the current academic year. From last year's 94 CCAA member institutions, 870 student athletes were awarded the prestigious honour in their pursuit of academic and athletic excellence. Jenna DeGooyer and Patrick Kendall were also named CCAA Academic All-Canadians.